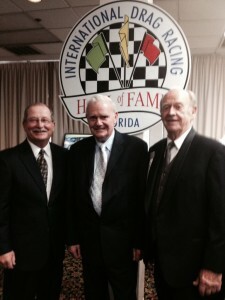 This year during the Gatornationals Jerry Gwynn was inducted into the International Drag Racing Hall of Fame. Joining him at the reception was our long-time friend and racer Ken Veney. 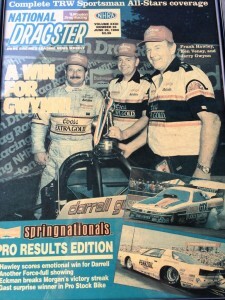 After Darrell Gwynn’s accident in 1990 I was asked to race his car and we won the Springnationals on our very first outing! 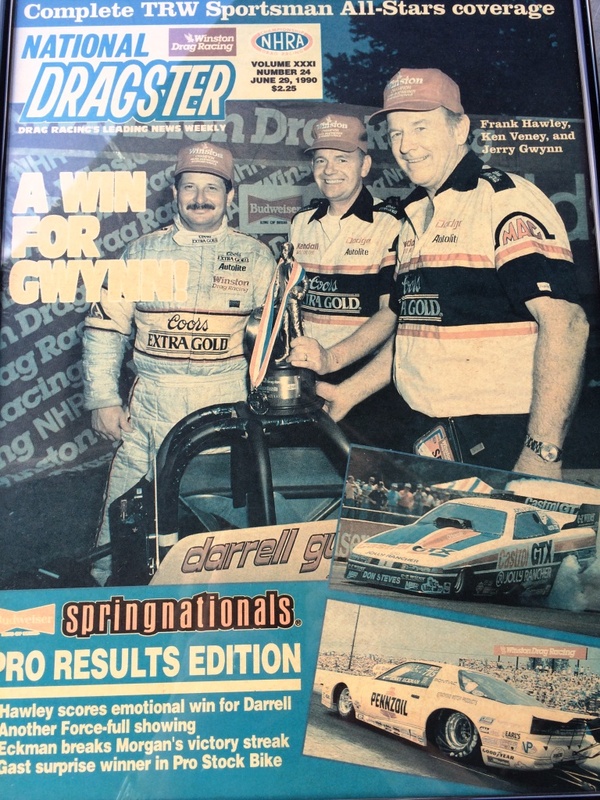 “A Win for Gwynn” was the cover from National Dragster following that race with Jerry Gwynn on the right, Ken Veney in the middle and me on the left. So 25 years later I couldn’t resist another photo of the three of us together at the banquet! Ken continued on building race car parts and engines, Jerry continues to works with his son Darrell’s Foundation and I continue to teach new racers at our drag racing school. We’re missing the hats, team shirts and a driving suit, but here we are…then and now!